Drivers are the lifeblood of the convoy and the North American Transportation industry and we welcome all of you to join our convoy efforts. Due to safety, space, and parking arrangements it is imperative that we know how many trucks will be joining the convoy. In order to make that easy for you we have set up three ways for you to register. 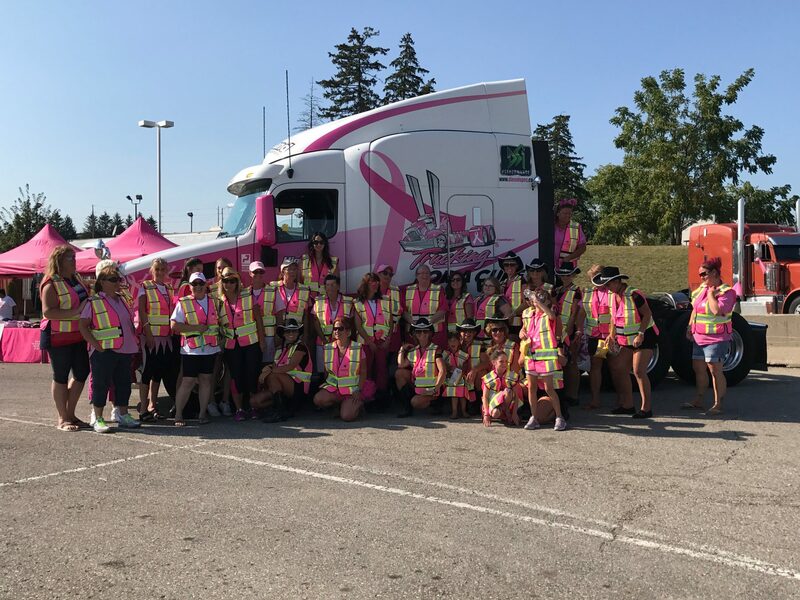 To register by mail please print off the Registration Form, fill it out, include a cheque made out to “Trucking For a Cure” and mail both to our mailing address at listed on the form. To register online you have a two part process. Click the registration link below and you will be taken to our Paypal website where you can pay safely with Paypal account or credit card. Once completed please fill out the driver registration form on the below named “English Driver Form or French Driver Form.” Please enter your t-shirt size, trucking company, and truck number. You may want to print off a Driver Registration form and bring it with you on the day of the convoy.